On text creation, there is an optional UID field. 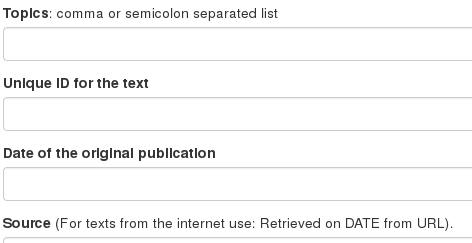 The UID is an arbitrary word which let amusewiki knows that two texts are the same with different language. So, if you have two (or more) texts with the same UID, in the footer of the text page you will find the list of related texts.